• Equipment and Materials Operator • Evening Custodian • Groundskeeper • Maintenance Technician • Plumber. Full time with benefits. Free tuition through Purdue University Global and fee remission for a traditional Purdue degree for yourself, spouse, and children. Employment is contingent on a satisfactory background records check. For a complete description of the positions and to apply, Click the Apply button and visit our website today! 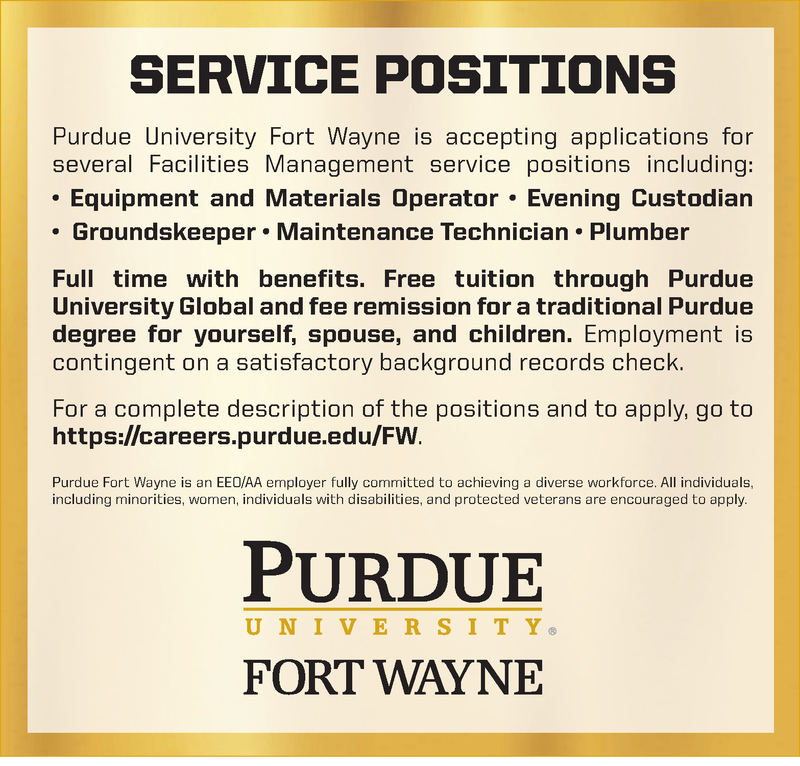 Purdue Fort Wayne is an EEO/AA employer fully committed to achieving a diverse workforce. All individuals, including minorities, women, individuals with disabilities, and protected veterans are encouraged to apply.